What if everything you knew about yourself was a lie? Mildred "Mills" Millhatten had a good life: close-knit family, fantastic friends, decent grades and even a not-totally-annoying kid brother. You might say it was the best kind of ordinary. So nothing could have prepared her for being taken and cast into a strange, vicious world that she didn't know existed and has little hope of understanding. 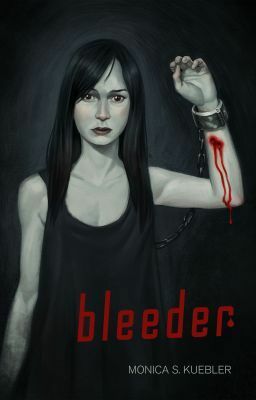 As a Bleeder - one whose lifeblood feeds the Nosferatu - her continued survival hangs ever in the balance. The creatures are keeping her alive because they believe her blood has mystical properties. Mills fears what will happen when they realize they are wrong. If she hopes to survive and discover who she truly is, she needs an ally. She needs to befriend the mysterious boy who's been secretly visiting her cell, even though he's destined to become a bloodthirsty monster. Because she lives in their world now, and if she doesn't do something fast, she's going to die in it too.